Enjoy the fantastic view of the water and sunset while dining at one of Port Washington's waterfront restaurants! Photo: LaMotta's Restaurant. 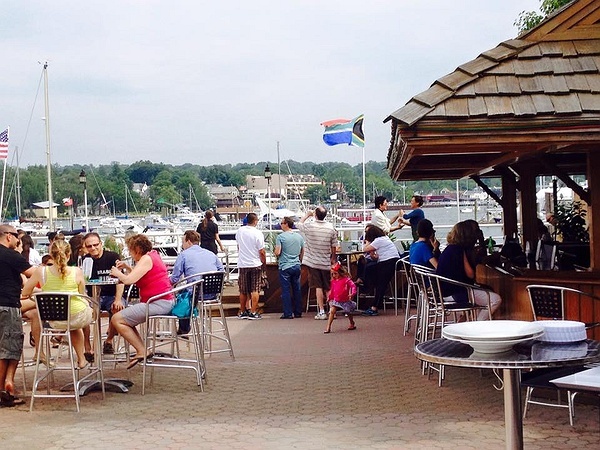 There's so much to enjoy in Port Washington, especially the waterfront restaurants! The waterfront community of Port Washington offers everyone the opportunity to enjoy an unforgettable dinining experience. With restaurants located right on or near the marina, you can experience a relaxing or romantic dockside dining experience with ease. Many of the waterside restaurants feature fresh seafood, but if you're in the mood for a burger or pasta, you can find that too at Port Washington's dockside restaurants. Enjoy a beautiful view of the Manhasset Bay while dining to modern American cuisine with global influences at this waterside restaurant located on site at the Manhasset Bay Marina. It also offers an outdoor bar with live music and a children's menu.